Throughout his esteemed career, Dylan has won 3 Paralympic gold medals in two sports, was awarded 2016 GQ Sportsman of the Year, 2016 Paralympian of the Year and the 2016 Newcombe Medal. He is honoured to have received a medal of the Order of Australia in 2009 at the age of 18. In 2017, Dylan co-founded disability and accessibility training start-up Get Skilled Access and began hosting on national radio station Triple J. 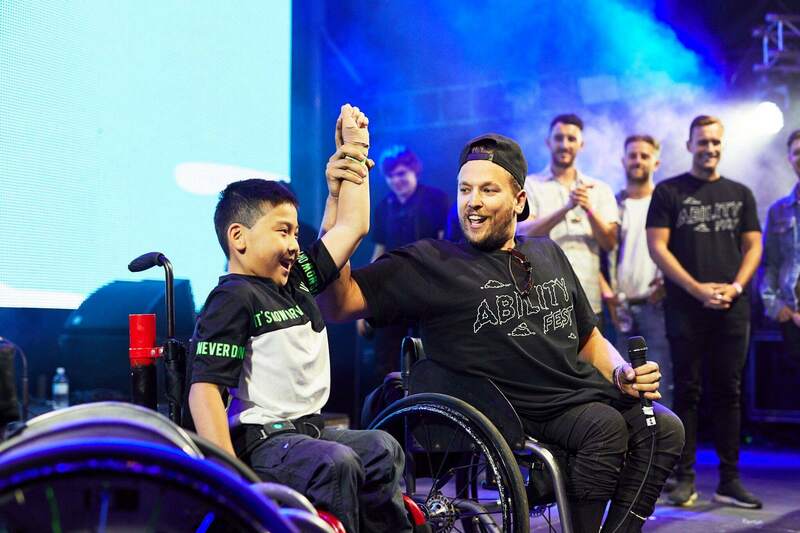 He is a tireless advocate for disability and is a highly sought-after motivational speaker, travelling Australia and the world inspiring organisations to be the best versions of themselves. Dylan is also a keen philanthropist, and in 2014 set the world record for the longest continuous playing of wheelchair tennis, playing for 24 hours non-stop, raising funds for two charities, Variety the Children’s Charity and The Starlight Foundation. Living with a disability can be tough and we want to change that. If you have a disability and have shown potential in your field, we want to help you achieve your dreams.